This wannabe anonymous clothing online shop is made by Scientology. They will collect user data, maybe they think anons will register and buy shirts there!? WTF is wrong with you Scientology? As you can see it is the same address. We want to be FREE! Anonymous: We are humanity. Expect us. We are all over the globe. We are Anonymous. We do not forget. We do not forgive. Don't expect us, We are already here! and international law enforcement agencies using this site or its associated sites for projects and/or investigations. - You do not have my permission to use any of my profile information, pictures videos, in any form or forum both current and future. If you have, or do, it will be considered a violation of my privacy and will be subject to legal action. Warning: all institutions, including local, state, federal, and international law enforcement agencies using this site or its associated sites for projects and/or investigations. - You do not have my permission to use any of my profile information, pictures videos, in any form or forum both current and future. If you have, or do, it will be considered a violation of my privacy and will be subject to legal action. This site provides the information being witheld or manipulated by the controlled media corporations that work in line with those who pull the hidden strings. Understand the true nature of the world around you, the system and exactly how it's controlled. INCLUDES NOT ONLY THE﻿ CONTENT, BUT ALSO THE MEANS OF EXPRESSION. Copyright © © 1994-2015 LegionNET & LGNSEC . SOME RIGHTS RESERVED. 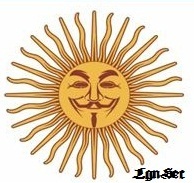 @SOURCE LegionNET & LGNSEC ®. Simple theme. Powered by Blogger. 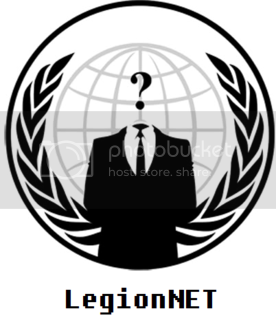 LegionNET® by LegionNET® is licensed under a Creative Commons Attribution-NonCommercial 3.0 Unported License. Based on a work at legionnet.inc.nl.eu.org. Permissions beyond the scope of this license may be available at http://lgnsec.nl.eu.org.